Big data is reshaping the business as we know it. Data science lays the foundation for decision-making processes in most of the modern companies, which is exactly why its revenue should surpass $40 billion in 2018. Marketing is by no means different in that regard. Today, marketing teams embrace the power of information and data analytics to improve the reach and influence of their campaigns. 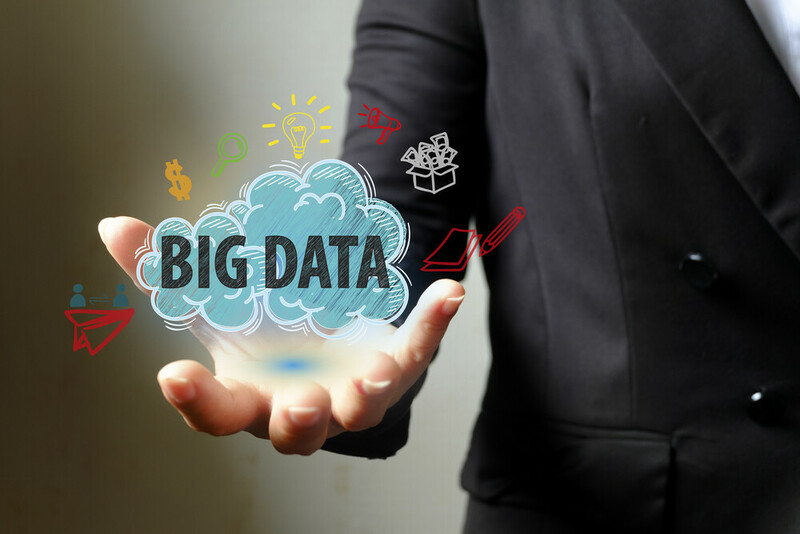 In this article, we are going to show you the 7 biggest benefits of big data in marketing. With data volumes exploding in the last several years, official estimations suggest that data monetization will soon become a major source of revenues. A large portion of business intelligence is aimed at marketing and we will describe the major impacts in this field. Data scientists provide marketing departments with a superb analysis of the latest trends in customer behavior, which allows marketers to create comprehensive strategies and prepare for more efficient activities. That’s why almost 65% of marketing executives claim that data-driven marketing is crucial to success in a hypercompetitive global economy. They are now able to target consumers not only as large groups but also as segmented sub-groups with their own specific features, which gives them the possibility to modify activities and adapt to each one of these audiences individually. User experience is one of the basic preconditions of a successful business. In the era of big data, marketers are enabled to customize operations and improve customer journeys almost to the point in which every single client receives products or services based on his/her personal preferences. For instance, Facebook alone stores and analyzes dozens of Petabytes of user generated data. Such immense data allow businesses not only to determine the basic demographic traits of their target groups but also to go much deeper and learn about the affinities of individual users as well. As one of the most important elements of marketing mix, pricing was always subject to analysis and careful monitoring. But ever since big data entered the game, marketers are able to adjust prices to their products and services in real time. Today, it is possible to make price differentiations depending on numerous factors. For example, movie theaters offer regular tickets to average buyers but also offer certain incentives (coupons, weekend promotions, etc) for the ones who are price-sensitive. Loyal consumers are the core of each business. They are repeat buyers who also serve as brand ambassadors. Recent surveys proved that 55% of U.S. consumers express loyalty by recommending the brands and companies they love to their friends and family members. Using big data, companies can detect common buying patterns, adapt their services and expand the base of loyal consumers eventually. As you could see by now, not only that big data have the power to improve your marketing strategy in general but it also contributes to the improvement of its individual segments. Advertising is one of those elements that gains much more profit due to better inputs from the business intelligence services. Ads are now personalized and directed to specific groups of consumers, which makes them look more attractive and the chances of engagement increase drastically this way. This is why advertising, especially online, is growing steadily over the last few years. Surprising as it may seem, many marketers actually don’t know how to measure ROI. According to some surveys, half of B2B marketing executives find it difficult to attribute marketing activity directly to revenue results as a means to justify budgets. Big data eliminates this problem: it takes into account all marketing channels, activities, and investments and conducts a cost-benefit analysis of each element. This way, it is almost impossible to misinterpret your marketing activities and the corresponding budget. Data science is capable of analyzing current marketing strategies but it also has the ability to successfully predict future trends. That’s why marketers utilize it to create business forecasts, which allows them to behave proactively and go one step ahead of the competitors. In the environment of constant struggle for more market share, this big data feature turns out to be essential for many companies. Marketers have always searched for a way to utilize huge volumes of data that are being created each second. With the rise of data science, now it is possible to analyze most of these materials and eventually turn them into fruitful marketing strategies. In this article, we revealed how big data contributes to the development of contemporary marketing, with the emphasis on the 7 biggest trends. However, new features will emerge soon, so make sure to follow us and learn more about this exciting topic. Chris Richardson is an editor and a blogger at Essaygeeks.co.uk. He is passionate about writing, traveling, and photography. Chris loves to meet new people and talk about modern education and technologies.